008-dc-corporate-photography-magazine-photographer-2011-Women-south-Sudan-17-irene-abdou-photography.jpg | Irene Abdou Photography, LLC - Travel. Lifestyle. Documentary. NGOs, Development & Public Health. Bubenzer, Friederike and Orly Stern, Editors. 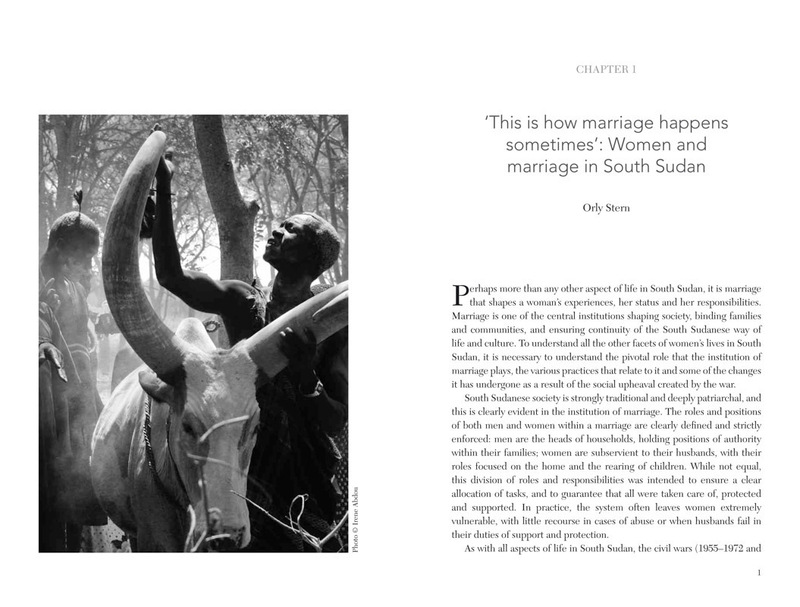 Hope, Pain & Patience: The Lievs of Women in South Sudan, Institute of Justice and Reconciliation, Fanele, South Africa: 2011, full-page photograph, page 1. Cows with horns shaped like the one in this photo of a cattle camp near Akot, South Sudan are valued above all other cows by the Dinka. The Dinka are traditionally cattle herders, owning hundreds or thousands of cows per family. There are many words in the Dinka language for each kind of cow - cows of a certain color...cows with certain spots...boys are named after these various cows. Dowries (payment by a man's family for marriage to a girl) are also paid in cows, with a beautiful girl garnering a bride price of hundreds of cows.